That's it! 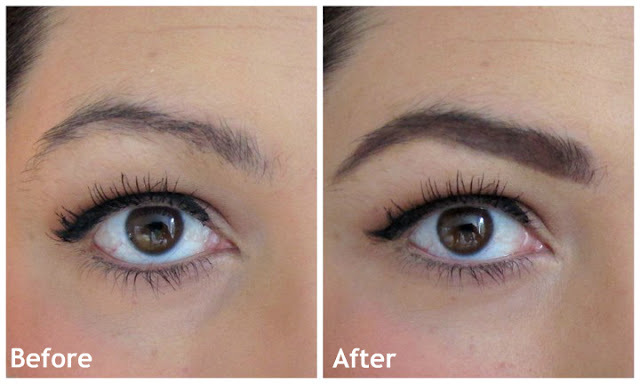 As an optional step you can apply clear brow gel to seal the look in place and reduce the brow makeup from rubbing off. I don't generally apply brow gel unless it's a very hot day and I don't want to sweat off my brows! Rimmel eyebrow pencil in Black/Brown - I have been using this for years and I hope they don't discontinue it. I love it because it's not too creamy. The slightly dry texture makes it easy to draw a precise line and the handy brush on the lid is actually quite useful to comb unruly lashes back into place. Matte brown eyeshadow - I mainly use Inglot eyeshadow in #363 but any matte cool brown shadow will do as long as it's good quality and doesn't have fallout. Small brush - There are some good eyebrow brushes out there, but the one I use is actually a lip brush. It's got stiff bristles and the shape makes it easy for me to draw on my brows. I hope you found this mini tutorial useful, and once again if there's a tutorial you'd like me to do just let me know! 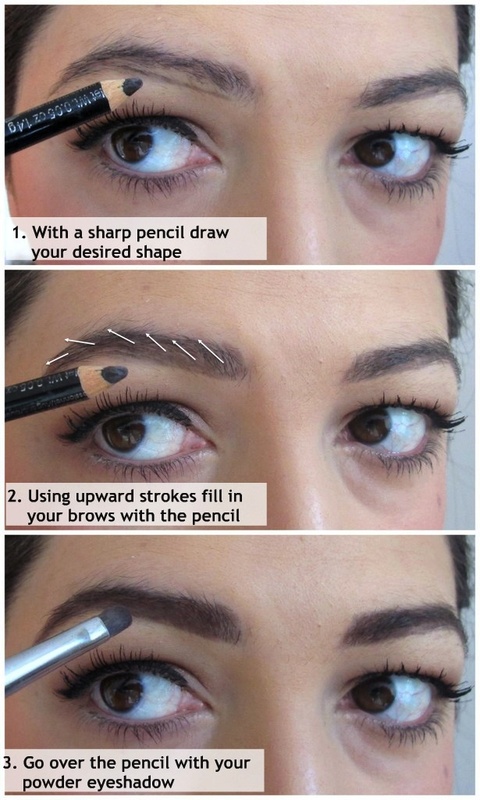 Great tutorial your brows look great! Your brows look gorgeous Lilit! Never tried a brow gel before but am interested in getting one. I do find that my eye brow powder fades off through the day. The end result is amazing!! It's crazy how much filling in your eyebrows can change a look! Love it, great tutorial! I know right? Brows make such a big difference to a look. If only my natural brows would get thicker so I didnt have to fake it! Great tutorial! It really frames your face perfectly when you fill them in! Well explained! Like the idea of framing the brows with a pen first. Will try it out for sure. Thanks! Thank you, the pencil makes it much easier to fill in later. I never would've thought that your natural brows were like that because your brows always look so good! Thanks for the tips, I'm going to give this a try! Lilit, I'd never ever in my life thought that THOSE eyebrows are not just your eyebrows. Hmmm... What I'm trying to say is that I saw you so many times and didn't even noticed the makeup. It's a compliment to your skills and.. eyebrows! Thanks babe, over the years I've jut become good at faking it! My natural brows were always sparse, so I had to learn to camouflage the patchiness!